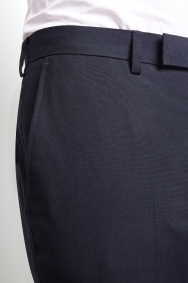 Sharpen up your trouser collection. 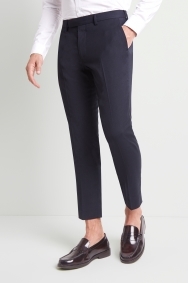 Thanks to the cropped length and close-fitting skinny shape, these navy trousers bring on-trend style to business settings. They’re ideal for when you have a busy day ahead as the stretch provides give for easy movement. Machine washable, they also require hardly any effort to keep them looking smart. Pair with loafers and a skinny fit shirt for a simple but stylish work outfit. Excelente calidad, las tallas muy bien, la ropa muy chévere.